Bright clear faceted quartz with a stunning and unusual faceted rutilated topaz set in sterling silver. 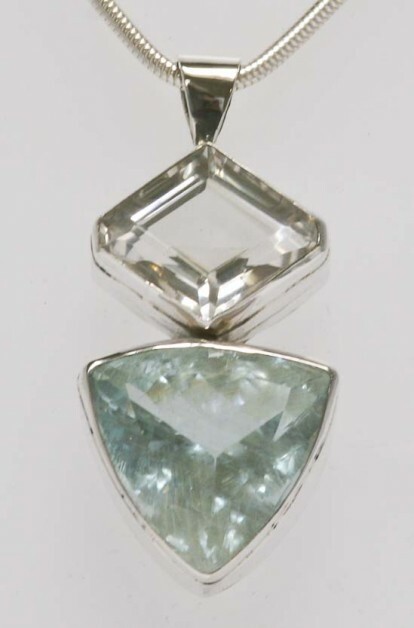 The bottom stone protrudes about 0.4cms beyond the silver setting at the back. Clean with a silver polishing cloth to prevent the build up of damaging tarnish. These stones can be gently cleaned with a soft toothbrush and warm soapy water then rinsed clean.. Do not leave to soak in water as you may loosen stones.